Community Development Center is hiring! The Equipment Loan Program is available for Senior Citizens with medical equipment needs. This is being offered as part of a one time program by our Family Support Program, for residents of Bedford, Marshall, Lincoln, Coffee, Franklin, and Moore counties. Thank you for visiting the Community Development Center (CDC) website. Our agency provides a comprehensive, Early Intervention program to meet the needs of developmentally challenged children, birth to three years of age. The Family Support program provides flexible support to households with a developmentally challenged member. The CDC Senior Equipment Loan Program operates under the Family Support program. The Independent Support Coordination component manages services of persons with developmental disabilities served in the Medicaid Waiver. The service areas of the program include educational, developmental, medical and living coordination. In addition to our traditional programs, we continue to explore avenues to increase the reach of our mission to the communities in which we serve. 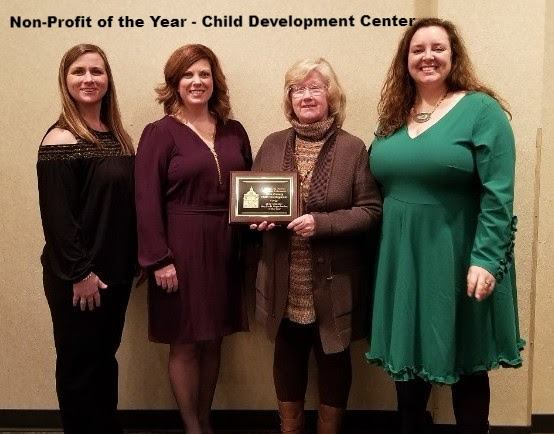 Giles County Child Development Center received the Giles County Chamber of Commerce Award for Nonprofit of the Year! 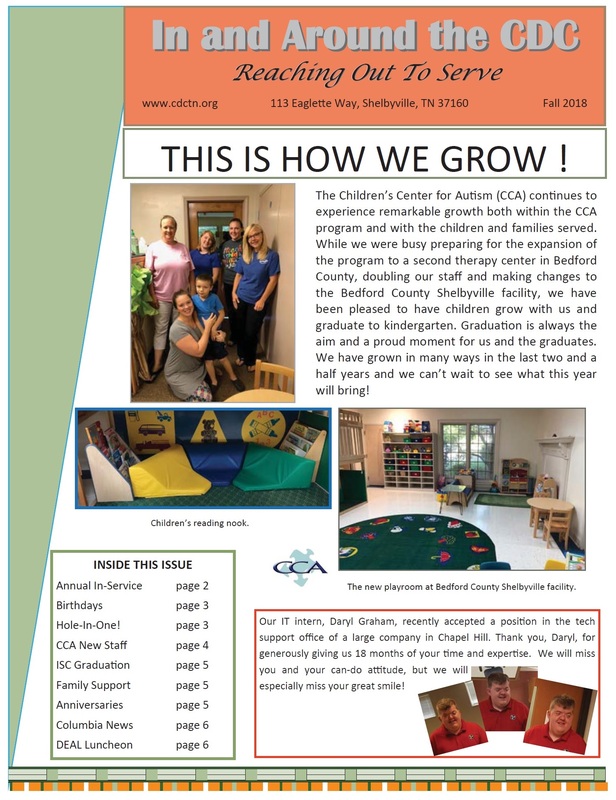 The Community Development's most significant accomplishments during this past year were (1) the development and opening of the Children's Center for Autism; (2) providing quality early intervention therapy to over 250 children and their families; (3) supporting over 320 individuals through the Independent Support Coordination program; and (4) providing flexible supports services to over 220 families through the Family Support program. Throughout the service history of the CDC, partnerships have been established both in professional and humanitarian relations. The agency partners with major departments in the Tennessee government and service system. Contracts are held with the Department of Education, Tennessee Early Intervention System (TEIS), Department of Human Services, Department of Finance and Administration, and the Division of Intellectual Disabilities Services. Regional and local partnerships include interagency collaboration, health councils, adult provider agencies which serve intellectually and developmentally challenged adults, the Tennessee Vocational Rehabilitation System, the Tennessee Technology Centers, Columbia and Motlow State Community Colleges, the South Central local Interagency Coordination Council, the community of faith, local corporations, educational institutions, the Tennessee Agricultural centers, University of Tennessee Nutritional Program and United Ways. All programs are overseen by local Advisory Boards with a variety of professionals, consumers, and minority representatives. These boards are responsible for the financial health and viability of the programs and ensure local voices are part of decision making. Advisory Boards report to the CDC Governing Board. The boards ensure financial stability through community funding and support from United Way, civic clubs, the community of faith, local governments and individual contributors. In 2006 the agency formed the CDC Foundation which addresses the long-term viability of the agency and the strategic funding necessary to ensure the mission of the agency is implemented.